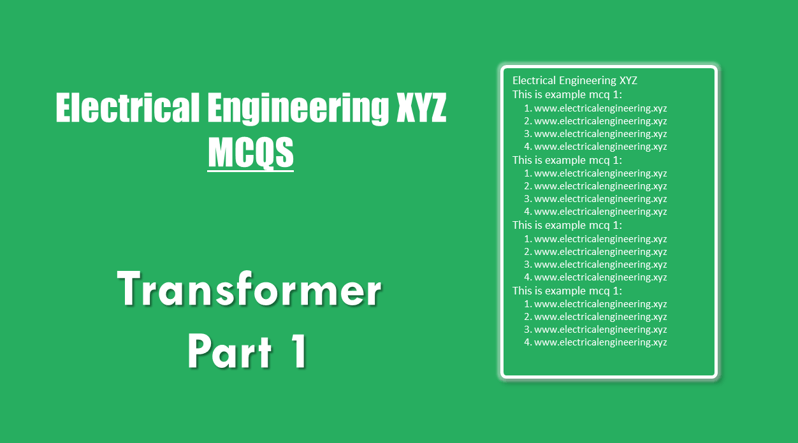 Electrical Engineering XYZ provides transformer MCQ’s part 1 which are very important for competitive tests. Prepare these MCQ before appearing in interviews, job tests, university exams and develop your basic concepts on transformers. Correct answer: c. 1.1 is the right answer. Explanation: An autotransformer is used for smaller transformation ration. e.g 21 kV to 21.5 kV stepping is required. Explanation: The iron losses depend on the core flux which remains constant from no load to full load. Explanation: Viscosity is the resistance against friction, whereas volatility is the tendency to vaporize a good oil should have low viscosity as well as low volatility. Explanation: Size of transformer is inversely proportional to the frequency.